When it starts cooling down I want spicy aromas and flavors coming out of my kitchen. These cupcakes are a little time more time consuming than your basic vanilla or chocolate but I think you will agree, after one bite, that they are just SO worth it! 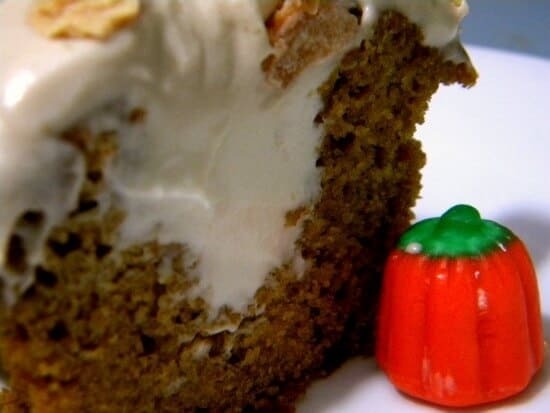 The pumpkin cupcake is spicy and the pumpkin flavor is strong because you are going to roast the pumpkin before you use it. 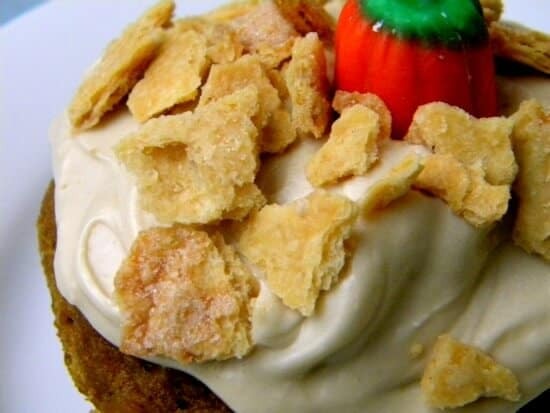 It is filled with a rich cream cheese filling, swirled with a creamy brown sugar frosting and then topped with a sprinkle of crunchy pie crust bits that have been sugar glazed. Whatever you are looking for it is all here. When I was making these I wasn’t thinking and made them HUGE. 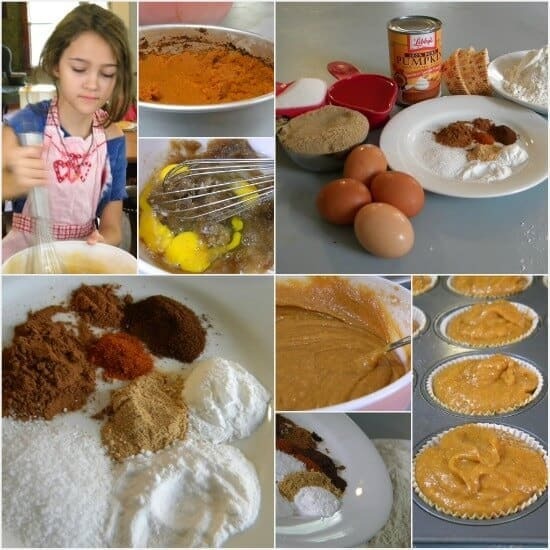 You can easily get 24 cupcakes out of this recipe, although I made just 12. I think they are probably too rich for the average person to eat a whole one but my kids have been in training since birth to consume disgustingly rich, sweet desserts in massive quantities. Don’t try this at home. I know someone is going to ask if the pumpkin MUST be roasted and the answer is, of course, no. However, you will be missing out on an explosion of flavor and I don’t want any grumbling about how they are not that flavorful. Change or adjust the recipe and you are on your own. As the pumpkin roasts it caramelizes and reduces. Measure it out at the end, you should have 1 3/4 cups. 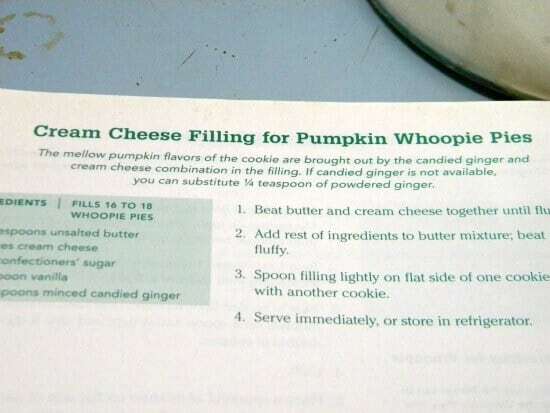 If you used canned pumpkin you will need about 2 -3 tablespoons of cream to bring it back up to 1 3/4 cups. This recipe calls for oil because it adds moistness without flavor. Use any mild oil you want – walnut would totally rock… I used peanut oil. The cayenne pepper adds a pop of heat that I like. You don’t have to use it but – hey, what the heck … Try it once. If you don’t like it you can leave it out the next time. 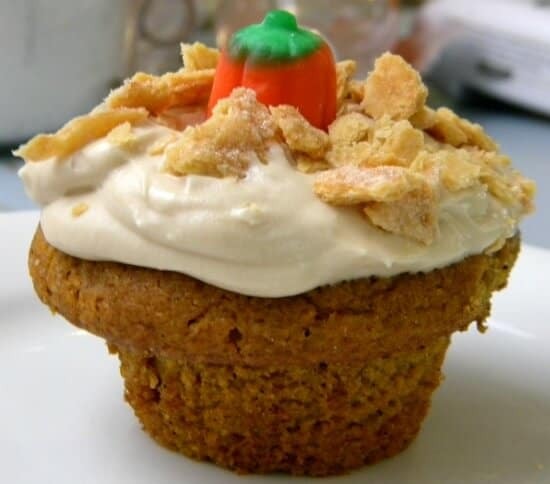 Be sure and cool the cupcakes completely before hollowing them out or they will totally crumble. Leave at least 1/4 inch of cake on the bottom or the filling will squirt out when you bite into it. ….Right in my own cookbook…LOL! I based my frosting off of a brown sugar frosting on Epicurious. 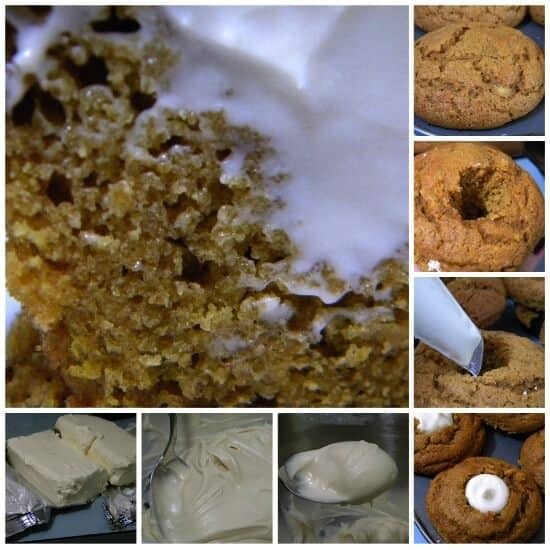 You will definitely want to chill this for awhile before frosting your cakes. Keep these refrigerated until about 15-20 minutes before serving. Store any leftovers (as IF!) in the fridge. Roast the pumpkin under a broiler set on high -stir often and keep watch until it has reduced and is a darker color.